Susan is a lecturer in the undergraduate Department of Public Health at La Trobe University, which offers a Bachelor of Health Sciences degree. The subjects she teaches focus on program planning and evaluation, community health promotion, field placement, public health practice and global health. Her current research interests are in community systems strengthening, and HIV & AIDS policy and advocacy, HIV treatment cascade, and treatment seeking behaviour of people living with HIV. 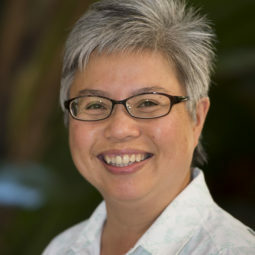 Susan has worked in the field of HIV & AIDS for over 25 years in Asia and the Pacific. Her work has included coordinating an Asia Pacific network of non-government organisations and facilitating civil society participation in international development programs, strategic planning, resource mobilisation, program planning, policy analysis, research, and monitoring and evaluation.